New Plant Could Cause Permanent Blindness? - Right Song. Right Time. New Plant Could Cause Permanent Blindness? Do you have family living on the East Coast? If so, you might want to warn them about a new plant species that was recently discovered in Northern Virginia not far from Washington D.C. The name of the plant is the Giant Hogweed. The sap this plant produces is toxic! It can cause third degree burns or permanent blindness if the sap comes into contact with your eyes. Hogweed sap produces a chemical reaction in your skin that prevents your skin from protecting itself from sunlight. That can cause significant sunburns. Scars left behind can last up to six years. 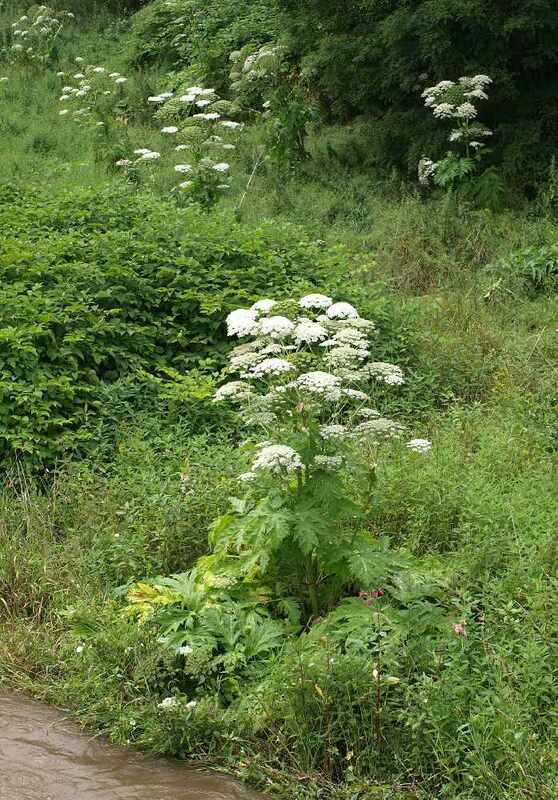 Experts are suggesting not to chop the Giant Hogweed down or use weed-whackers because the plant's sap can splatter onto your skin or into your eyes. Instead, physically remove the plant or use weed-killing sprays. Beware if you're out hiking on the East Coast!